14th November 2015. Far south end of South Georgia. 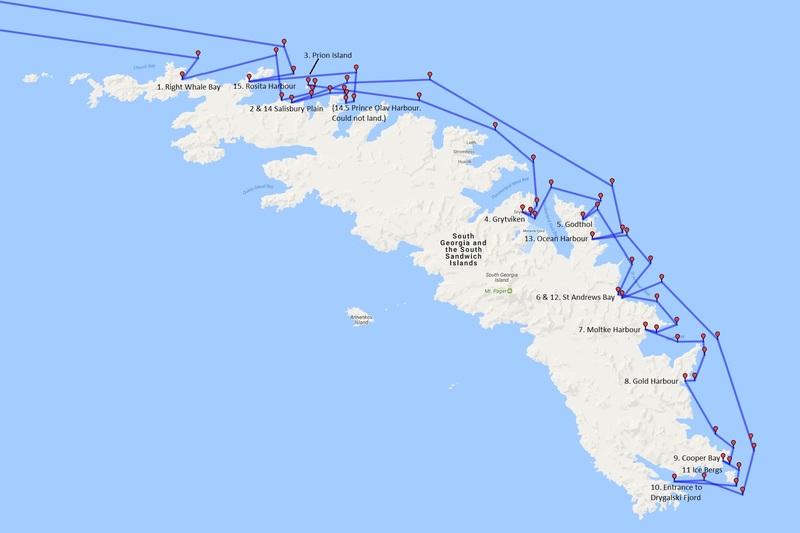 (Map of journey . . . . . . . . . (11. 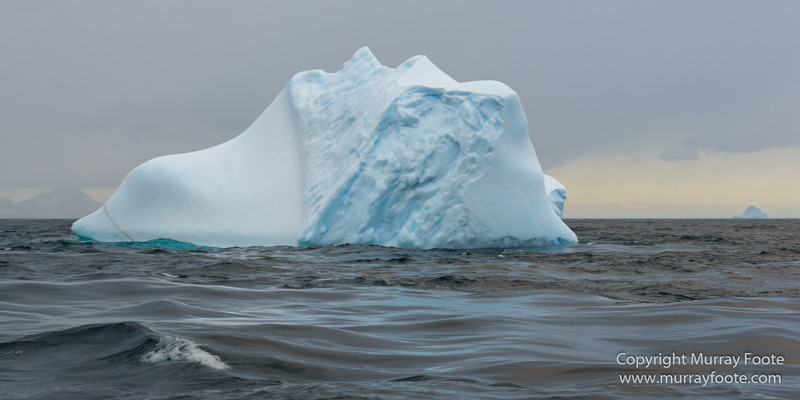 Icebergs)). 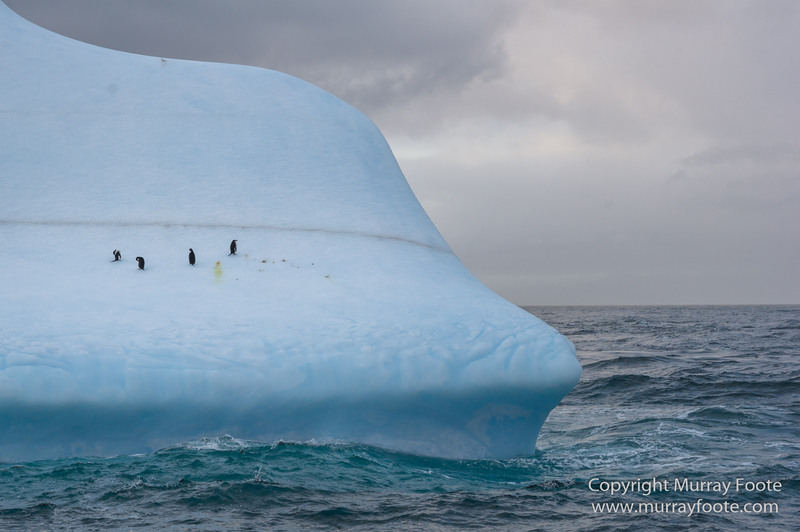 An hour after sailing around the Acropolis iceberg, we encountered an iceberg with siz chinstrap penguins along for the ride. 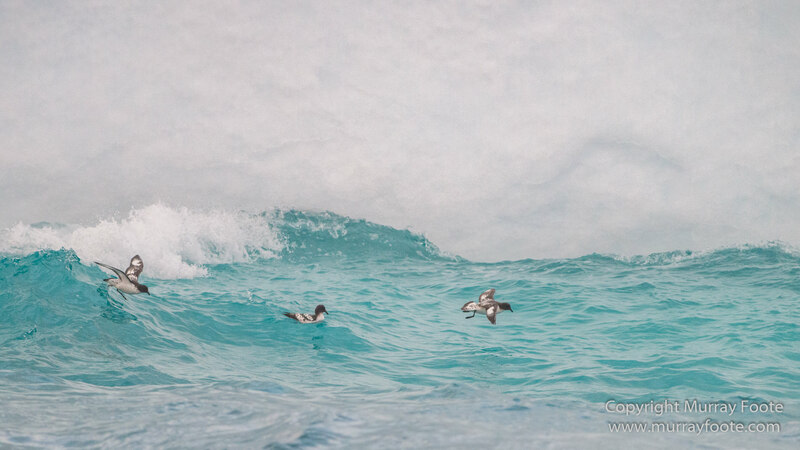 There are two of them here, and six snow petrels in the background. Here are the other four, not far from the first two. And from another angle, as the ship sails by. Frank Zappa warned “Don’t you eat the yellow snow” (Apostrophe, 1972), though here it’s ice and there are no huskies (or eskimos) to be seen. 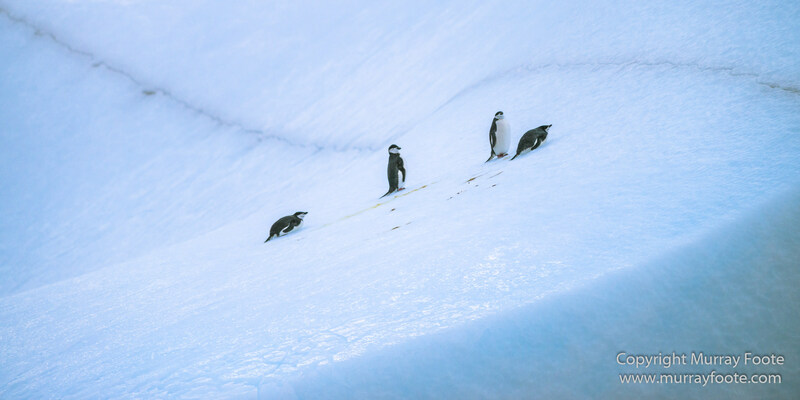 Snow petrels and chinstrap penguins. Here the are from a bit further back. Hard to tell whether this is the bow or the stern of their ship. An overall view from the back. 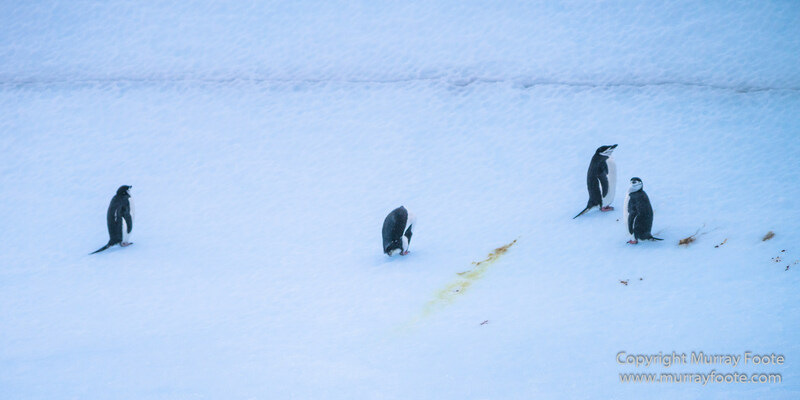 So no penguins visible now. Its shape looks quite different from different angles. Here they are again. 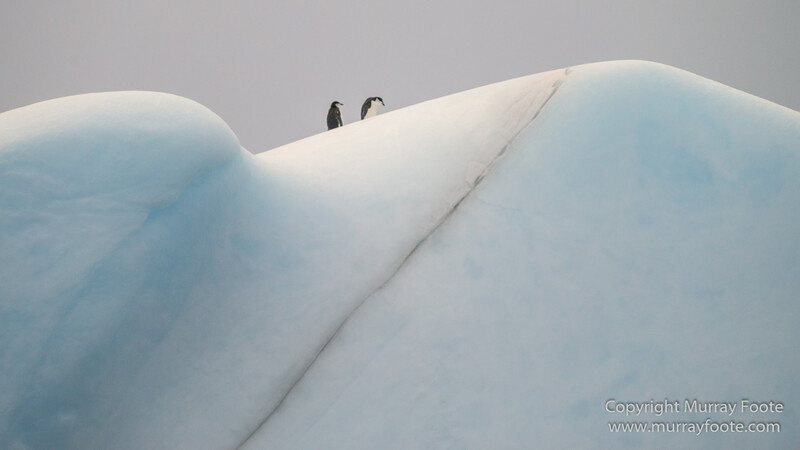 After they calve from an ice shelf, icebergs can melt in the sun, become unstable and turn over. 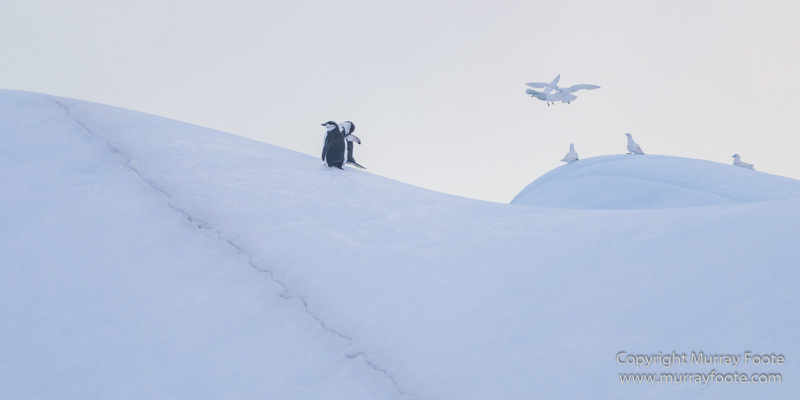 You don’t want to go too close to an iceberg because you never know when that will happen (though the penguins probably don’t greatly care). That diagonal; grey strip is probably a previous water line. Here they are again. They’ve shuffled their order since first encountered. Maybe the two on top have moved. 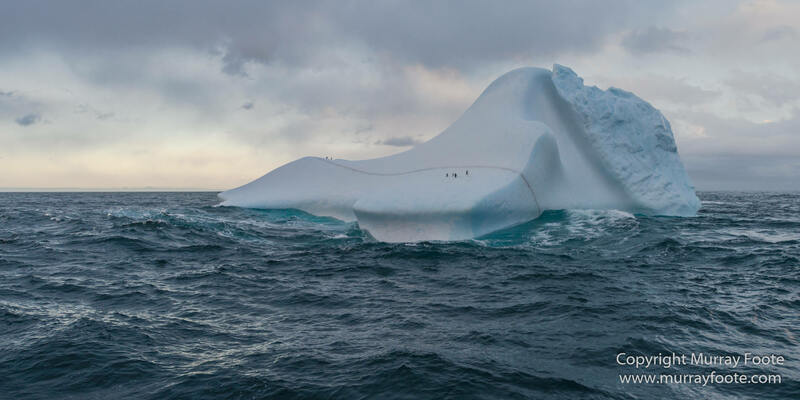 Blue lines on icebergs can be caused by fresh water that is quickly frozen. 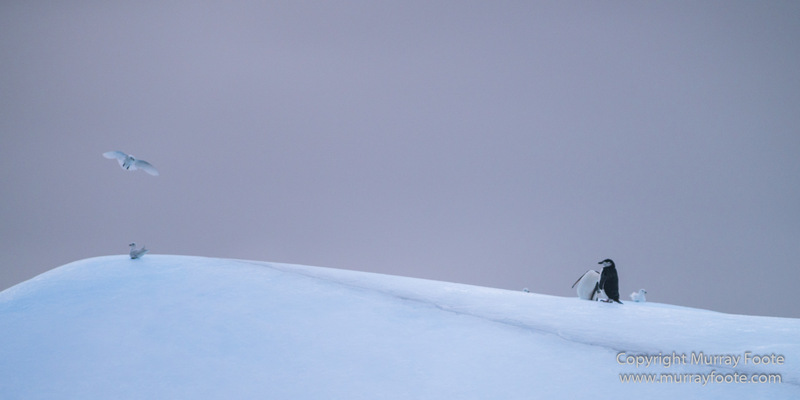 The brown lines.are probably from a layer of dust, perhaps when the ice was part of a glacier. 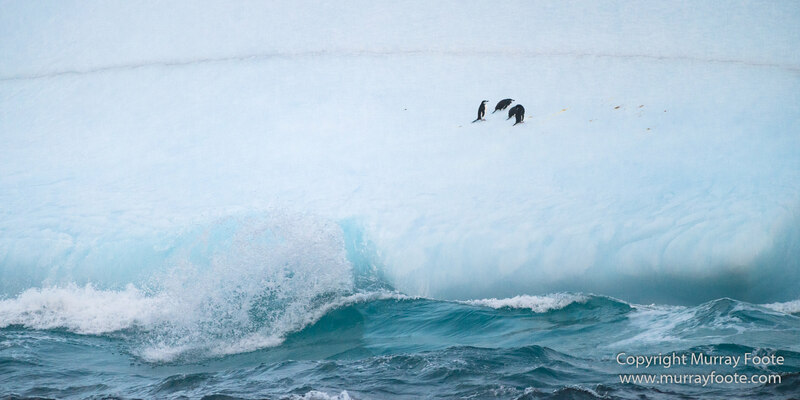 Those two penguins are certainly well away from the waves. 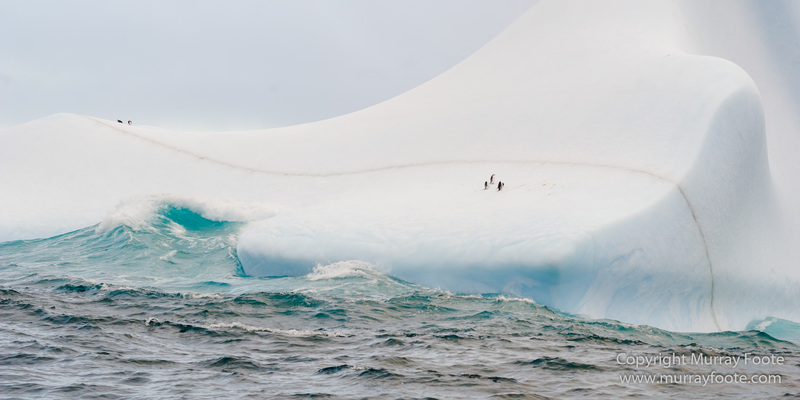 Here are some cape petrels beside the iceberg. 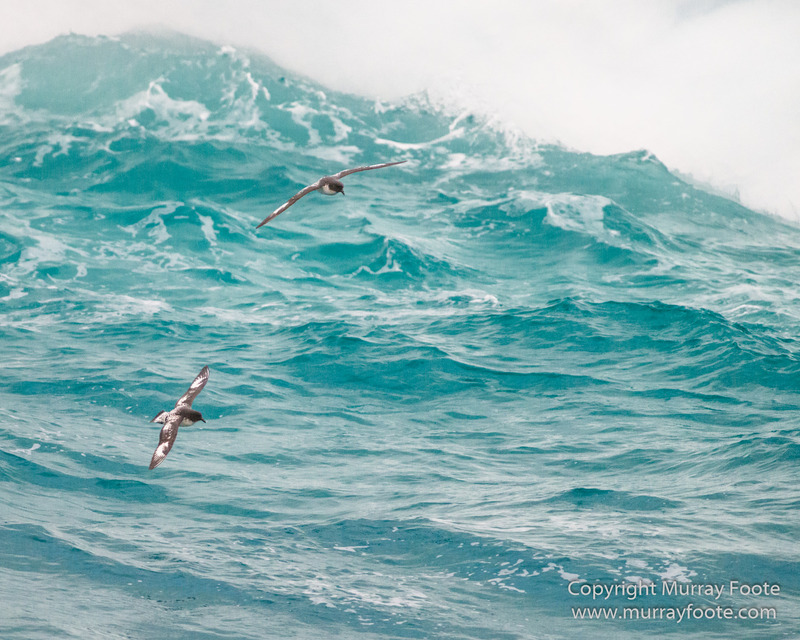 Perhaps looking for some fish thrown up in the turbulence. All six of them in the one image. And they’re not as close together as they seemed in the preceding image. Those big diagonal bands could be relics of rolling events. 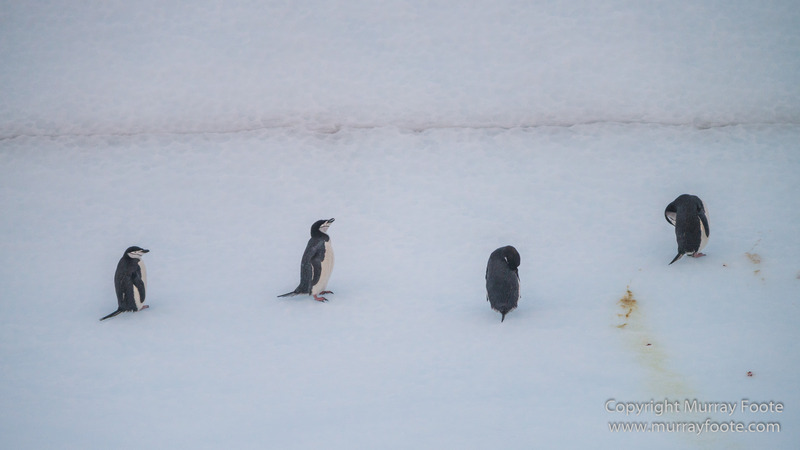 This entry was posted in South Georgia and tagged Cape Petrel, Chinstrap penguins, Drygalski Fjord, Icebergs, Landscape, Nature, Photography, seascape, Snow Petrel, South Georgia, Travel, Wilderness, Wildlife. 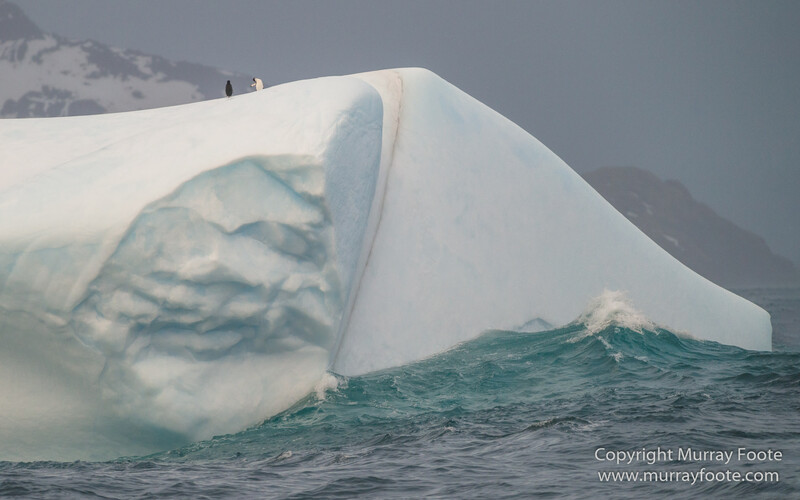 The iceberg above the comment “An overall view from the back. 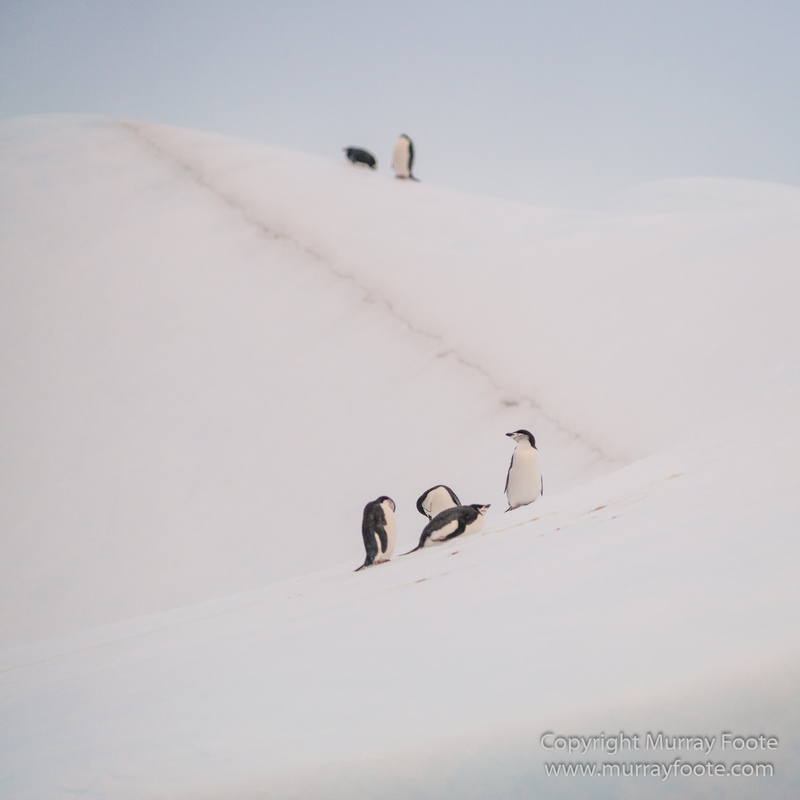 So no penguins visible now.” looks like it could be a penguin lying on its side, facing right. Maybe. I can’t see it.